The acclaimed foundational book in the Best Friends series has been revised! The acclaimed foundational book in the Best Friends series has been revised! As wise and relevant as ever, the updated second edition brings professional care partners a wealth of new advice on how to incorporate the celebrated tenets of Best Friends™ into the everyday care of people with dementia. Using the best qualities of friendship—respect, empathy, support, trust, and humor—you can ensure the highest quality of life for people in your care, making each day reassuring, enjoyable, and secure. 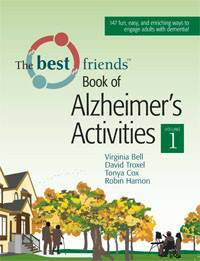 In addition to explaining the basic elements of communication and caregiving Knack that are essential to the Best Friends approach, this revised edition includes all-new chapters on using the life story, planning activities, being successful when behaviors become challenging, getting the best from families and volunteers, and effectively creating and sustaining a Best Friends program. Virginia and David’s Best Friends philosophy, rich in relationships, engagement and respectful of human rights, provides a lasting foundation for dementia friendly communities and quality care. Find out how to help your long-term care organization build a culture of care that improves the quality of life for clients and caregiving staff. Shows how staff can achieve better outcomes and more rewarding experiences—and your program can retain an effective, satisfied staff. With practical tips on recruiting and training a dementia-capable and talented staff, plus over 70 ready-to-use tools you can copy and use for staff training, family handouts, or newsletters and bulletin boards. 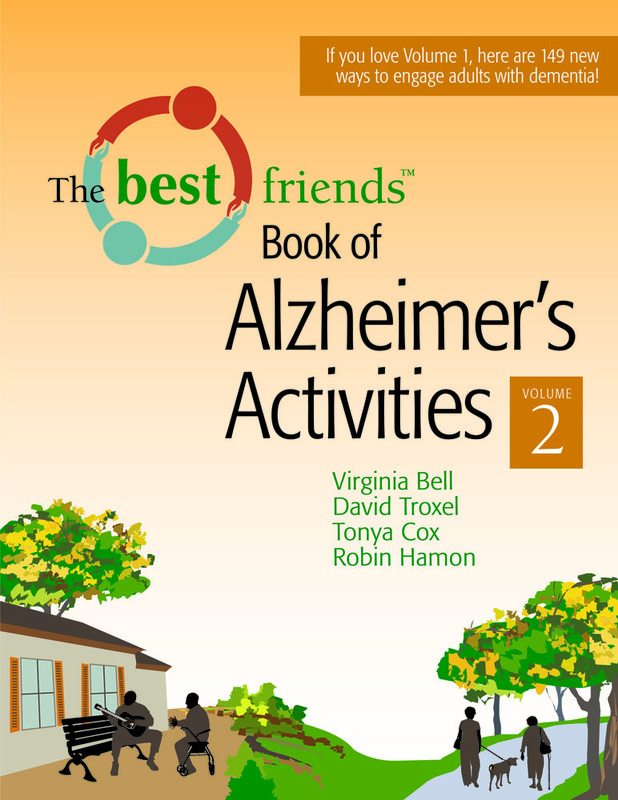 Includes success stories from programs and dementia care consultants from around the world. The Best Friends Staff is the best book I have ever read for these important staffers. I’m convinced if all AD programs used this book—the world would be a better place. Activities ideas for families and healthcare professionals! Planning activities for people with dementia can be easy and natural! Use these 147 “grab and go” activities to turn the simplest interaction into an engagement that satisfies essential physical, emotional, and spiritual needs! Ready to use at home, in adult day centers, and in residential care settings. Each one is designed to help families and staff approach activities the Best Friends™ way: connecting persons with dementia with life-affirming activities that make them feel good. A wonderful resource … very practical for staff, volunteers, and family members. This book will be one of your most-used resources. Follow-up companion to the best-selling first volume! 149 more activities for persons with dementia that add meaning and enjoyment in adult day care centers, home care settings, or residential care facilities. Feedback and insights from persons with early dementia helped shape this collection, which also focuses on diversity and multiculturalism as well as the needs of younger patients. With a chapter on engaging in spiritual and religious activities and tips for adapting activities to people in the early and late stages of Alzheimer’s disease. Be a Best Friend on the job! Download these free handout resources on how to use the Best Friends™ Approach in a memory care community. Training seminars led by David, Virginia, and their associates have helped hundreds of organizations enhance their memory care programs and caregiving culture. Find out more here. 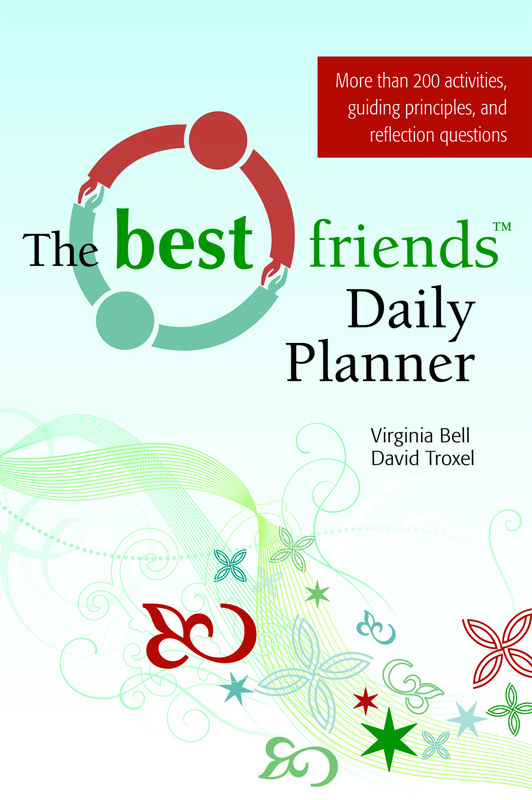 The Best Friends™ Daily Planner shows you how simple it is to be a Best Friend to a person with dementia each and every day. Organized around the Best Friends™ Dementia Bill of Rights, this handy and practical tool provides you with Best Friends guiding principles, activities, and reflection questions to support your caregiving each week. "The best results of caring for an individual with dementia stem from staying in tune with the person...This planner aids in doing just that." The Best Friends™ Approach really works, attracting volunteers and building a fantastic day of activities and engagement. 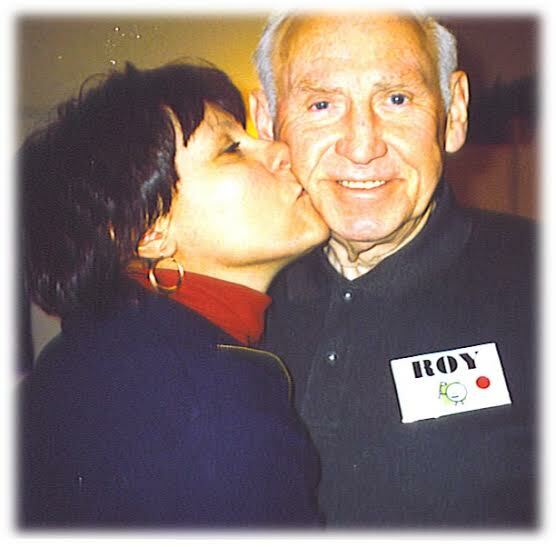 Our day center participants…have felt known, loved, and valued, as have I.